After several visits to Chez Donati in the 1990s my husband and I dined here yet again and imagine, nothing has changed in the meantime! 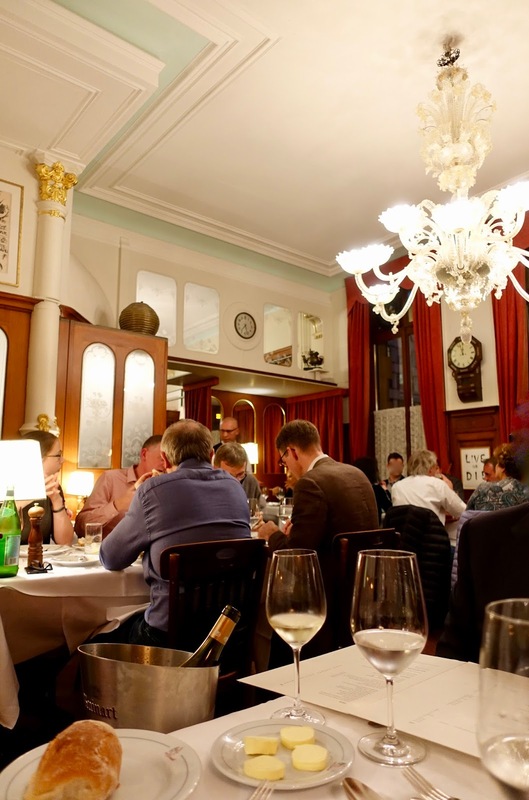 The place is an institution in Basel, for more than 65 years it has been serving traditional Italian cuisine in a high-end setting. 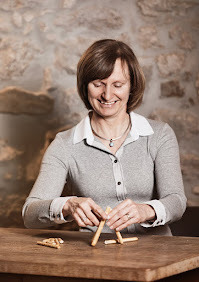 After having been under the management of the best hotel in town, Grand Hotel Les Trois Rois, for some years, there will be a change in 2020. 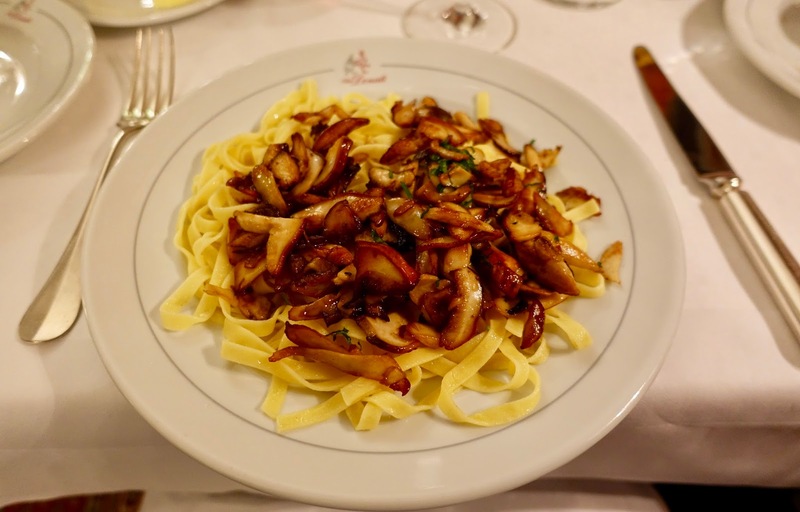 As from then, the Bindella restaurant group from Zurich will take over. Time will tell what consequences this will have for Chez Donati. The restaurant is not exactly centrally located, but still not too far away from the center. It is a little bit more than ten minutes to walk from the city’s core, the Marktplatz. However, the location is nice, directly on the bank of the river of Rhine. Unfortunately, there are only a few tables on the terrace with fantastic views of the water and also sitting capacities by the windows are very limited. The interiors reflect the classic style of a time long gone by, with Murano chandeliers, stuccoes, much (expensive) art and a lot of wood. There are two rooms, from which the back room is usually more cramped and noisier. 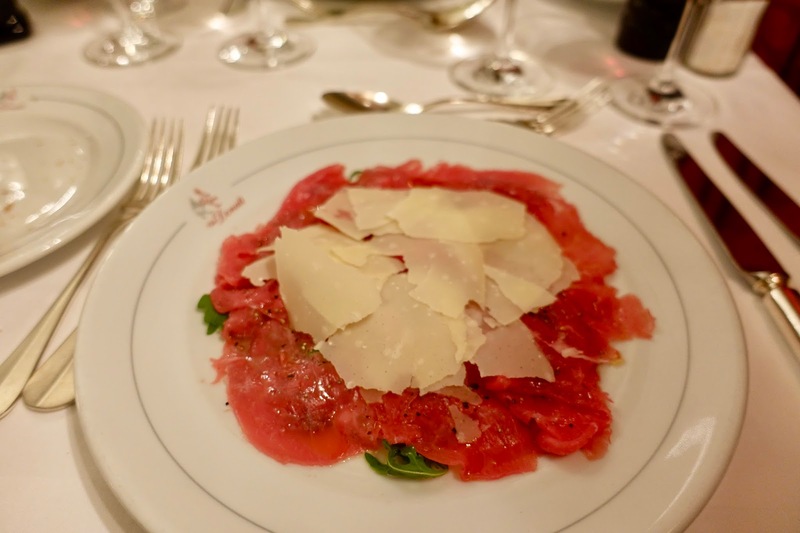 Chez Donati is a place where the rich and famous meet, be prepared that certain people get more attention from the fellow diners and from the staff. Here classic Italian food is on offer. Do not expect refined creations, the cuisine is well made but traditional. At this restaurant, it is all about quality, freshness and taste. Food is hearty, and the portion sizes are usually generous. When it comes to desserts, there is a trolley full of delicacies to choose from. 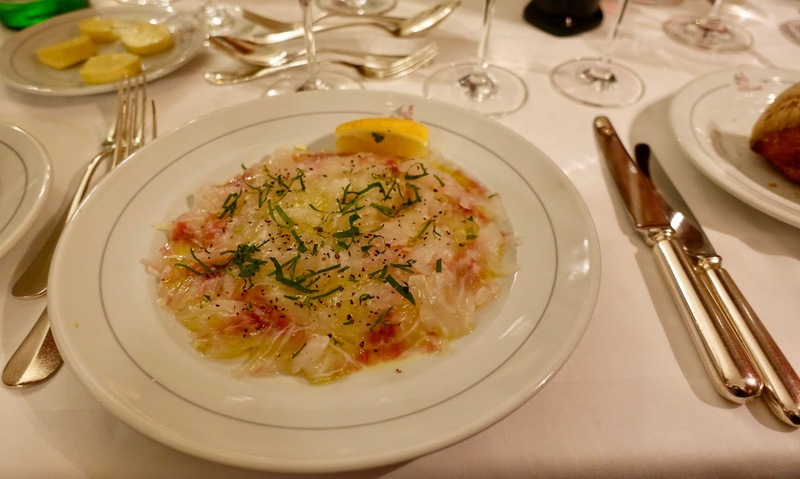 sea bass with fennel. While both dishes were tasty, it has to be said that the beef was by no means one of the most tender ones I have had recently. which was delicate, although my portion was a bit on the small side, I am not sure whether this was due to a misunderstanding because my husband’s serving size was okay. 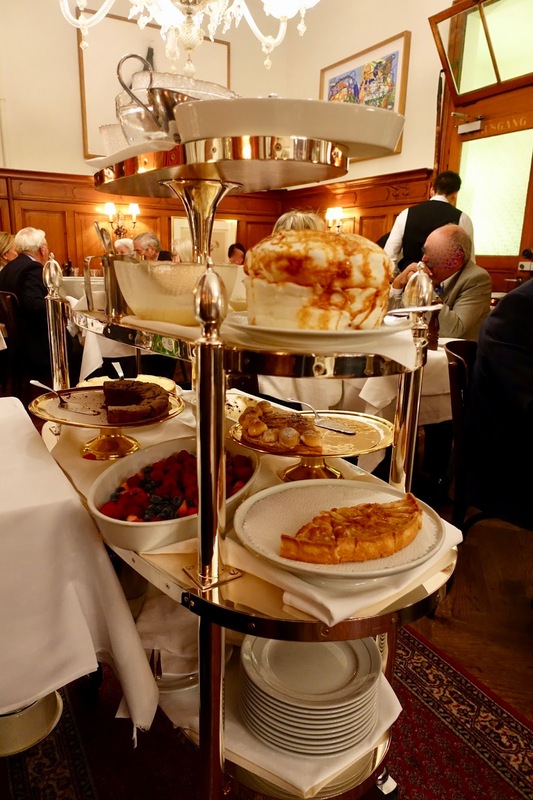 The highlight of the meal was the dessert, served – as already mentioned – from the trolley. 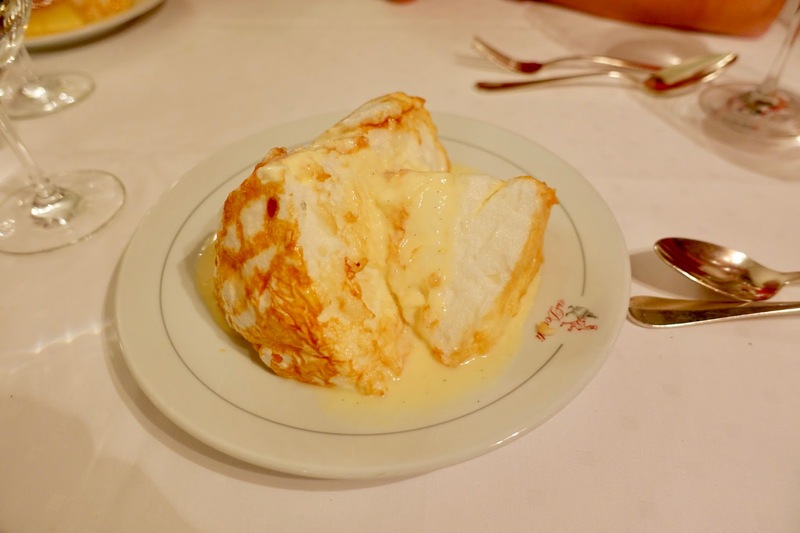 One of the delicacies chosen was a floating island, meringue on a vanilla custard. It was a real delight, albeit not exactly a light one, but the calories were extremely well invested! The staff is as it is supposed to be in a classy restaurant like Chez Donati, very old school. The waiters, some of them have been working here for decades, are of a certain self-confident kindness, typical of places like these. On our last visit, the service was slow, especially towards the end. As I understood, the kitchen encountered some problems, but there were no further explanations. All in all, service was okay although not so seamless as you would expect it from such an upscale restaurant. When dining at Chez Donati, it is a good thing if you are ready to spend your money liberally because it easily costs you a fortune! Having said that, you may get away less expensive by wisely choosing, i.e. going for pasta instead of meat. On the whole, prices here come close to the pain threshold what one is ready to give out for a meal that is good but not excellent. 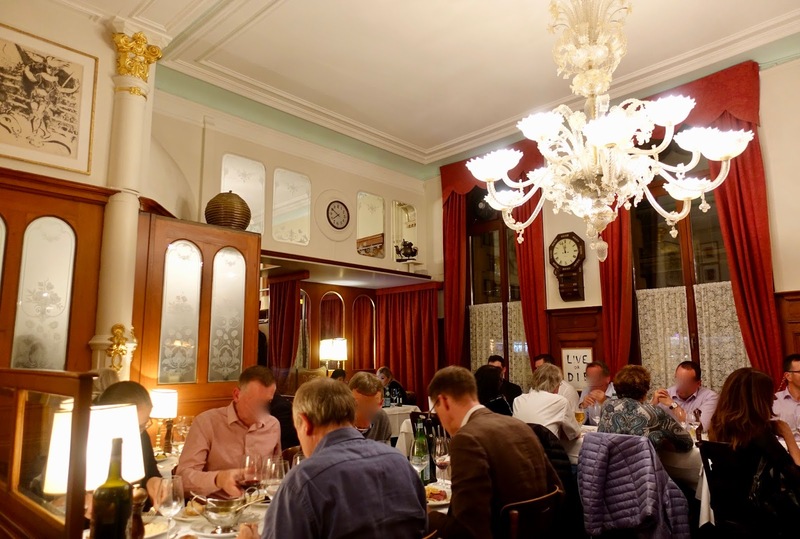 A meal at Chez Donati, a Basel’s institution for fine Italian dining, is always an experience, be it for the splendid interiors, the old school service or the classic Piedmont’s food. This restaurant has stood the test of time, having been in business almost unchanged since 1950. Expectations are high as to how it will go on under the owner as from 2020.